Boyer Woodworking is a proud locally owned and operated woodworking shop that has been serving Grand Rapids and its surrounding areas since 1964. We pride ourselves on 50 years of experience, and on offering our customers quality cabinets and other wood structures. If you walk into any recently constructed home or typical office or retail space, you might not recognize the lack of quality and integrity right away. But when you compare that space with an older, more established home or commercial space, the difference shifts into focus. 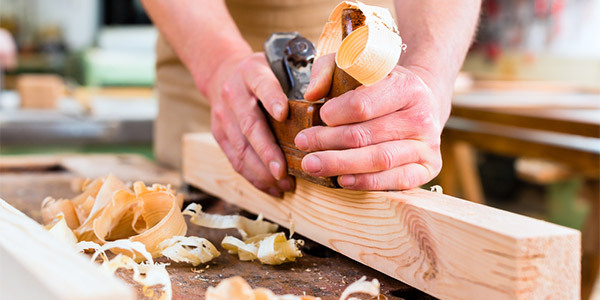 Generally speaking, the craftsmanship and dedication carpenters approached their work with back in the “olden days” was often much more apparent than the generic, cheaply made fixtures you will most likely find today. Fortunately, there are still some carpenters and cabinet makers in Grand Rapids, MN who are dedicated to doing things the right way. You can find them at Boyer Woodworking. We are a proud locally owned and operated small business in Grand Rapids, MN. We have over 50 years of experience in quality craftsmanship. Our woodworkers are friendly, hardworking and precise. We design and build custom cabinets and more for both residential and commercial spaces. Our prices are reasonable for the level of quality work. Call Boyer Woodworking for more information about our services, or come by our shop today.